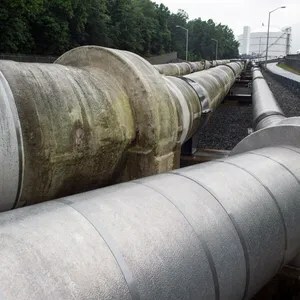 Stocks tumbled Monday to kick off the new week in the red, as Wall Street reacted to fresh data showingChina’s economy is in slowdown mode, overshadowing a big deal in the hard-hit energy patch. The Dow Jones industrial average ended down 313 points, or 1.9%. The Standard & Poor’s 500 index fell 2.6% and the Nasdaq composite index plunged more than 143 points, or 3%. Blue chips comprising the Dow temporarily ducked below 16,000 at one point, the first time the index has fallen below that mark since Aug. 25. The U.S. stock market is still coping with its first market correction, or drop of 10% or more, since 2011. The latest hit to investor sentiment was a continued drop in Chinese Industrial Profits, which fell 8.8% in August vs. the same period a year ago. This is just the latest data point out of the world’s second- biggest economy that suggests economic softening. Another headline putting investors in a risk-off mode are reports that Volkswagen’s ex-CEO is being investigated for criminal charges by German authorities as part of the investigation into the emissions-cheating scandal that has engulfed the carmaker in recent weeks. Also adding to the market’s angst is a 20% plunge in shares of global commodity giantGlencore. 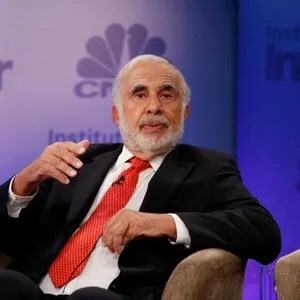 In addition, CNBC reported that hedge fund manager and billionaire investorCarl Icahn is set to release a video tomorrow warning of danger ahead for markets, aruging that the Federal Reserve’s low interest rate policy has led to bubbles in art, real estate and high-yield bonds and that the fallout could be severe. The Fed, of course, opted not to hike interest rates at its meeting earlier this month, but Fed chair Janet Yellen reiterated in a speech Thursday that the U.S. central bank is still on track to hike rates sometime in 2015. Those comments were echoed earlier today by New York Federal Reserve president William Dudley. Dudley is just one of four Fed speakers slated to comment on monetary policy today. That negative news overweighed news that aluminum giant Alcoa will split into two separate companies as a way to spur growth and a deal in the energy sector, whereEnergy Transfer Equity (ETE) is acquiring Williams Cos. for nearly $33 billion. Alcoa (AA) shares ended up 5.7%, but its shares closed last night down nearly 50% from its 52-week high. Williams Cos. (WMB) shares were off 12.1% and Energy Transfer fell 12.7%. U.S. investors also got some good news on the economic data front, with Augustconsumer spending rising 0.4% and personal income up 0.3%. Shares were down again in Europe, hurt by China’s dour economic news and the continued crisis engulfing VW. The FTSE 100 in London was off 2.5%, the DAX in Germany was down 2.1% and the CAC 40 in Paris was 2.8% lower. The Nikkei 225 in Japan fell 1.3%.